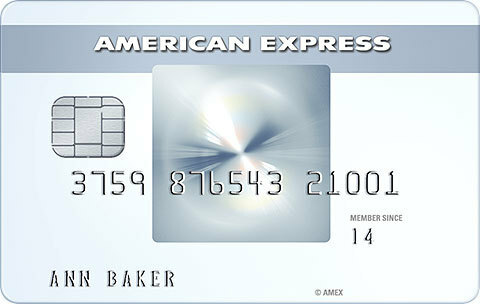 October 1st of this year was supposed to be the day when the U.S. finally caught up with the rest of the world by implementing EMV technology (also known as smart-chip technology) – see the chip in the Amex Everyday card? The switch-over will improve credit card security and significantly reduce fraud since cards with magnetic stripes are easy to clone. But as almost any credit card user can tell you, not much has changed during the past month when it comes to using credit cards. The only big difference is that merchants who do not have chip card readers are now liable for any fraudulent transactions. According to various studies, the percentage of merchants who are compliant with the new technology is somewhere between 5% and 27% – a fairly wide range but woefully low nonetheless. There are numerous reasons as to why the U.S. hasn’t made the full transition yet but not surprisingly, the main factor appears to be money. Upgrading to the new chip card readers is expensive and merchants have to purchase them in order to comply with the new regulations. This can be a major financial hit – especially for small businesses. A Wells Fargo study done in July of this year indicated that 49% of small business owners were not even aware of chip card technology – certainly not a positive indication that everyone would be compliant by the October 1st deadline. According to a survey by ACI Worldwide, 59% of cardholders hadn’t received the new embedded chip cards by the so-called compliance date and 67% had not received any information from their bank about the forthcoming switch and the benefits it would bring. Even though U.S. financial institutions have made a big deal about switching over to chip-enabled cards with enhanced security, the truth is these cards use chip + signature technology – not chip + PIN. Europe has been using chip + PIN technology for decades and in the UK alone, there was a 75% reduction in credit card fraud in the first four years of its introduction. It’s important to remember that chip technology won’t do anything to reduce online fraud. But point-of-sale retail purchases should see a significant reduction in the number of fraudulent transactions and hopefully, a lessening in the amount of massive data breaches which retailers have recently experienced. Next ArticleBalance Transfers – Are They Worth It?